While the winners for the 2014 MarCom Awards won’t be announced for a while, we’re showcasing select entries that stand out. Keep checking back to see if your work will be highlighted. What’s front and center on most municipal websites? Most would not answer with “a search bar,” but that’s exactly what Vision Internet incorporated into the web design for the City of Reno in Nevada. Why such an unusual setup? 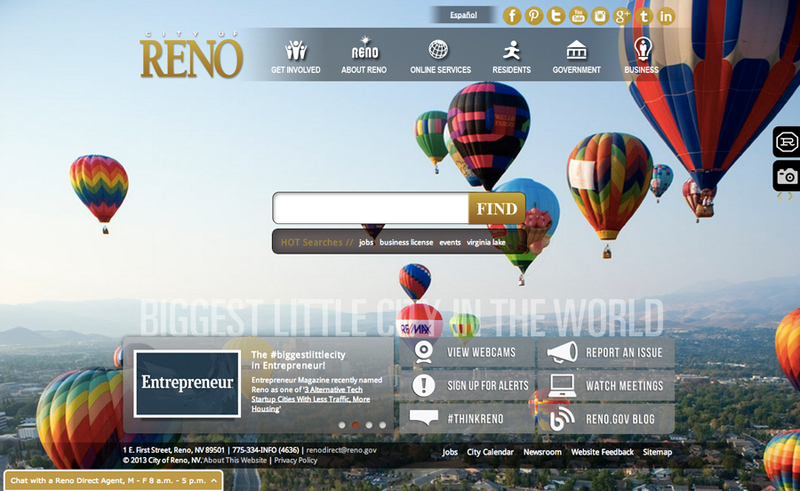 Reno was looking to increase engagement and put the citizen first in the redesign of the website. With this goal, Vision Internet created an intuitive, stress-free site with a search bar as the feature item on the homepage. Taking this function even further, the company added a sampling of “Hot Searches” just under the search bar to help visitors discover other information of interest. With accessibility and engagement as the driving forces in this project, Vision Internet leverages responsive design so all visitors can get the information they need, whether on phone, tablet or desktop.